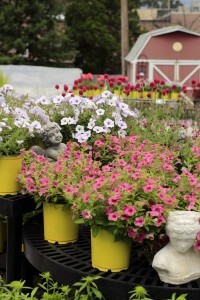 In 1969 a group of six St. Louis area Nursery and Garden Centers formed United Garden Centers an advertising co-op. The members would all buy products from the same vendors to accrue as many co-op dollars as possible. The members combined their own advertising budgets along with their share of the co-op money to promote the members and the group through print, radio and some TV advertising both spring and fall. By the mid-seventies, the membership increased and co-op programs from vendors changed so United Garden Centers changed it’s focus from an Advertising Co-op to become a Buying Co-op. Members would pool their orders with vendors to gain volume discounts, extended dating and reduced or free freight. Currently we have members in four midwest states Missouri, Illinois, Kansas and Iowa.